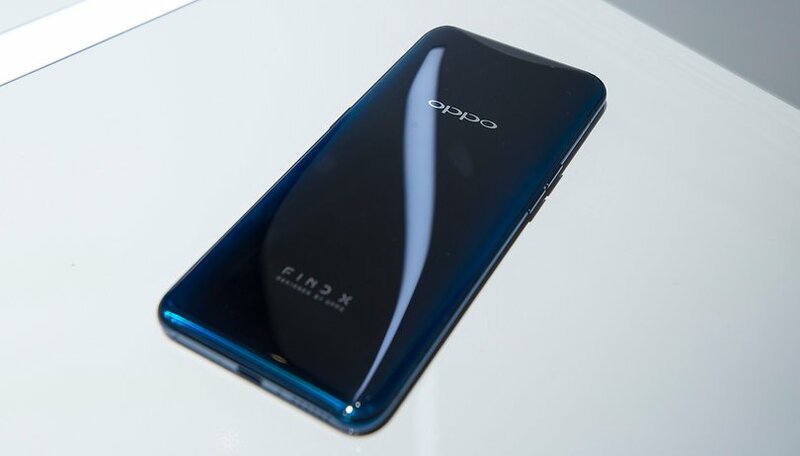 The OPPO Find X is official in Europe and US fans are naturally eager to import it. We had the opportunity to try it out and although it has beautiful features, the Find X is not free from all defects. We would like to know what you didn't like about this hyped device, what you would like to change if you could. OPPO chose to unveil the Find X to the world in Paris, at the Louvre Museum no less. It was at this romantic locale that we first got to know its little secrets and quirks. If it proves very pleasing on certain points, the device also has some defects. Many users have been disappointed by some of its features, let's take a closer look. First, the interface. Many users blame OPPO for being too inspired by Apple, and rightly so. Once the phone is in hand, the resemblance is a little less obvious but this does not change the lack of originality that the manufacturer has shown with the design. The lack of waterproof certification is also disappointing but can be explained by its design. My colleague Jessica was not so convinced by the price of the device, however it could quickly go down if it doesn't find success quikcly. The effectiveness of the battery also remains to be properly tested, especially if the motorized camera system is abused. Nonetheless, we're still excited by an innovative device that could be almost perfect, if not for a new nitpicks. What about yourselves? Does it seem like the OPPO Find X could be the phone we've all been waiting for? Or is something amiss? What would you change about the OPPO Find X? I bought the Oppo A71 in March from a dealer in the Souk in Agadir, Morocco where I live. It is simply outstanding and the best Smartphone I ever owned. It cost approx 165 euro on the Moroccan conversion rate which is a bargain on all levels. At present I have three European Newspapers and 3 Irish and British News Channels which I scan at regular intervals during the day. I also have 1300 stock Photos and 900 additional photos in the National Geographic Gallery. I phone Europe daily and the clarity and quality has been noted. It is my mobile office and I have recommended Opposite to all my friends and colleagues. Move over Apple and Samsung Oppo is about to take over Europe. .. except for the missing 3.5 mm headphone jack. The OS tweaking, the support, the band matchups, the quality history, dust and water issues.... So many weak points. The find 5 was touted as this great phone what 5 years ago and it simply wasn't. The necessary attention to detail and quality for a great device is not present in this company. This is not a solid state phone. The thing I question is how long will the moving part last? With no fingerprint scanner this thing will continue to pop up like a jack in the box. Durability comes to mind. But I do credit OPPO for this latest innovation! Of the two new very high screen to body ratio the Oppo Find X and the Vivo Nex. I like the Vivo Nix better, I think the Find x has to open to use it face ID and to take all pictures. Where the Nex only does it for selfies. I think the Find X will have battery life and moving part problem more than the Nex.